PCOS : A very popular query nowadays. Now lets know symptoms, causes and treatment of PCOS by some FAQ. These are the top questions and answers on PCOS. 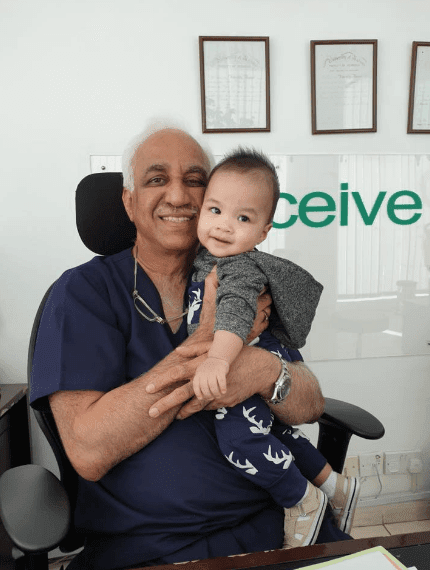 I recently got a chance to take interview of the best fertility doctor in Dubai. Dr. Pankaj Shrivastav is Director of Conceive, The Gynaecology & Fertility Hospital. Conceive is known as the best fertility clinic in Dubai. People who want to know about best ivf clinic in Dubai and fertility clinic Dubai can surely get in touch with conceive team. Below are the highlights of the interview. Worldwide figures suggest that on an average about 5-15% of the female population suffers from PCOS. In contrast to this the UAE has approximately 30% and I reckon this could be due to a high incidence of insulin resistance and Diabetes in the South Asian and Gulf Arab populations. Insulin resistance is capable of transforming into full-blown Diabetes. In my practice I’d say 1 in 4 women are likely to be PCOS. 2. How do you know if you are a PCOS sufferer? The commonest features of PCOS are abnormal and irregular menstrual cycles. The irregular periods can be a delay of the menstrual cycle by just a few days but in extreme examples, women are known to have just 1-2 menstrual cycles per year. In rare cases there may be no menstruation at all. PCOS also has skin manifestations such as acne, increased body and facial hair (known as Hirsutism) and thinning of the scalp hair leading to a male pattern of balding. These are also due to increased androgen (male hormone levels) within the woman’s body. The acne, which is not unusual during puberty, can persist into adult life. Some girls may have skin darkening behind the neck, in the groin region, in the armpits and under the breasts. This is called Acanthosis Nigricans and is suggestive of high insulin levels in the body. If a woman suspects that she may have PCOS it is best not to rely on ‘Dr. Google’ but to see a Gynaecological Endocrinologist or a Reproductive Specialist to fully evaluate the condition because there are a number of other medical conditions, which are associated with increased male hormone levels in women that can mimic PCOS. The sensible thing would be to assess and modify your lifestyle by evaluating your dietary intake, your activity and exercise levels and trying to optimize the two to find a healthy balance. Increased body weight can lead to an exacerbation of the insulin resistance whereby insulin levels in the body rise higher and higher and sometimes just an increase in weight by a few kilograms can trigger off the clinical manifestations of the disease. Unfortunately the lifestyle in Dubai is such that weight gain is almost accepted as being normal and the awareness about the dangers of being overweight are less known. 4. How long can PCOS go undetected for - and what's the risk of not having it diagnosed? There are no immediate risks apart from the menstrual irregularity and the cosmetic impact but long-term risks of developing the metabolic syndrome can significantly affect and lower the quality of life. PCOS can go undetected for as long as you don’t see a reproductive endocrinologist who must have a high index of suspicion if the symptoms are present. Usually it is easy to diagnose! 5. How young are the women you are diagnosing - and what are the biggest issues or risks they face? 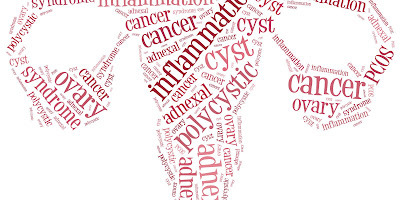 PCOS can quite often start quite early in adolescence with the onset of puberty. As the age of puberty seems to be becoming earlier and earlier, probably due to better nutrition and increased Body Mass Index, we see that girls as young as 12-13 years presenting with typical features of PCOS. These women face substantial risks throughout their life apart from infertility like recurrent miscarriages and the loss of confidence as a result of obesity and cosmetic skin manifestations. PCOS itself has potential to develop other medical complications that in turn can completely compromise the quality of life. Examples include metabolic syndromes, heart disease, strokes, cancer of the uterine lining and sleep apnoea. 6. 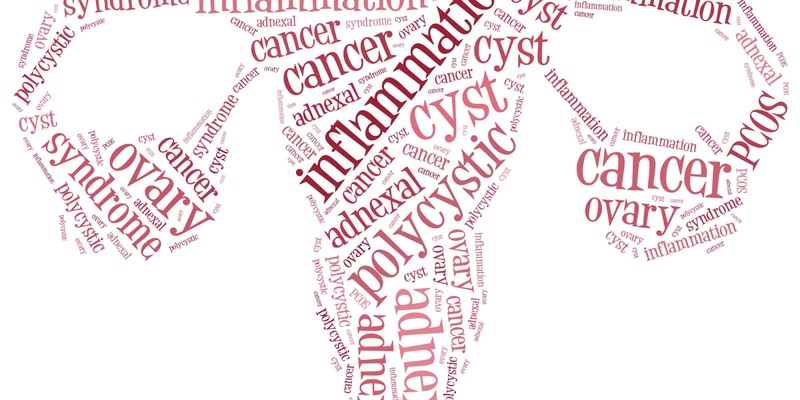 What causes PCOS? Is it hereditary? Is there any way to prevent yourself from getting it? PCOS is a result of insulin resistance, which is quite often hereditary but can be exacerbated due to an increase in body weight. If you are the recipient of bad genes from either parent (a history of Diabetes in the family) it would be sensible to carefully monitor your diet and increase your exercise levels. A girl with normal menstrual cycles can manifest all the symptoms of PCOS just by gaining 5-10 kilograms if she has a genetic predisposition to PCOS. A healthy lifestyle can ensure that a woman with PCOS will go about having a very normal life. 7. Is diagnosis/treatment covered by health insurance? Sometimes insurance companies will balk at reimbursing patients, as they are worried that the patient is actually undergoing Infertility treatment which most of them do not cover. However PCOS itself can lead to so much more morbidity and mortality that if your doctor is persuasive enough, the insurance company should pay up. 8. 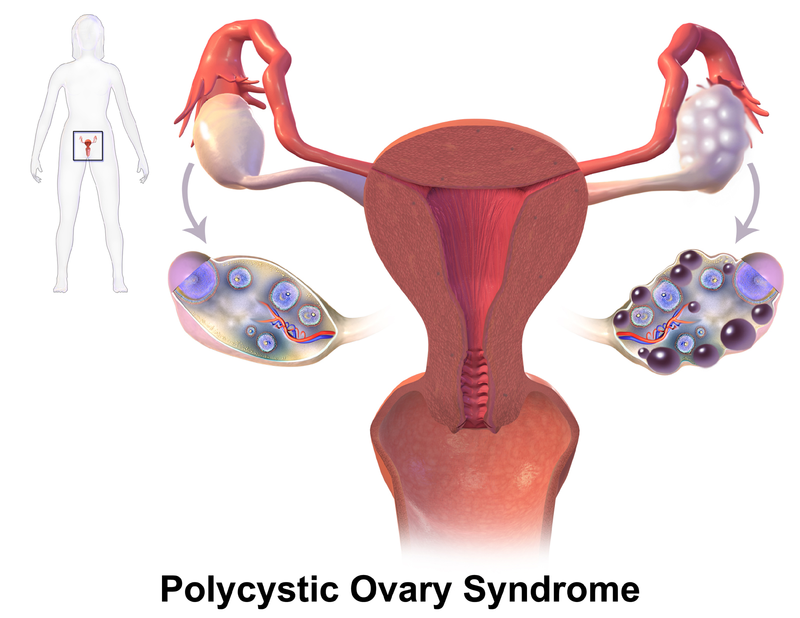 What elements of UAE lifestyle pose a higher risk of getting or living with PCOS? Working hours can be fairly long in the UAE and quite often a woman may substitute easily available and unhealthy ‘fast food’ for her normal diet that she may have been used to in her home country or when she was living with her parents. As most people in the UAE are painfully aware the kilos just keep piling on and it not unusual for a girl to put on 10-12 kilograms in one year. Moreover, we in Dubai do enjoy an indulgent lifestyle and this doesn’t help with weight-watching. Also, the traditional dress of South Asians and Arabs can often camouflage a widening waistline. As the same clothes can be easily worn by just loosening the drawstring, quite frequently a girl may not even realize that the pounds have piled on. Western clothing where the waistband has set notches usually sets alarm bells ringing earlier. Additionally the hot and humid weather for 4-5 months in the year deters most people from walking or cycling to work or walking to fulfill errands. This then entails travelling by car for even the shortest of distances and you can see how activity levels are markedly lower than they would be in cooler climes. People should compensate for their lack of normal activity by incorporating some sort of a fitness program into their daily lifestyles. That being said, just being aware of what one eats and what one burns is a simple way of keeping PCOS at bay. 9. Are cases here more prevalent than elsewhere in the world? Yes. As pointed indicated earlier, Dubai with its Gulf Arab and South Asian population is home to people with some of the highest levels of Diabetes and insulin resistance in the world. This is a fertile breeding ground for the development of PCOS. Add to this the high incidence of obesity and you can see how PCOS can develop into “epidemic proportions”. In my own practice 40-50% of the women who walk in have PCOS. This is not unusual because Conceive is a fertility hospital and women with PCOS would naturally gravitate towards a medical facility like ours. I evaluated the levels of PCOS in the “normal” female population in different ethnic backgrounds here in the UAE. While the Caucasian women had only 10-12 percent, the South Asian and Gulf Arab women indicated a 40 and 35 percent prevalence of PCOS. Of these South Asian and Gulf Arab women with PCOS, 96.5 percent of the South Asian women and 80.9 percent of the Gulf Arab women were insulin resistant. These figures are staggeringly alarming when compared to World Literature figures of PCOS women with insulin resistance (50-70 percent). The figures indicate that insulin resistant women with PCOS are destined to develop Diabetes Mellitus at some point in their lives. 10. Celebrities like Victoria Beckham say they have PCOS. But she's had four children. Does this send a positive message? Yes it does! Victoria Beckham does have PCOS but has kept it in check by controlling her Body Mass Index probably by regulating her dietary intake of calories and increasing her calorie burning through a rigorous fitness regime. So in that sense, yes she is inspirational for women with PCOS. 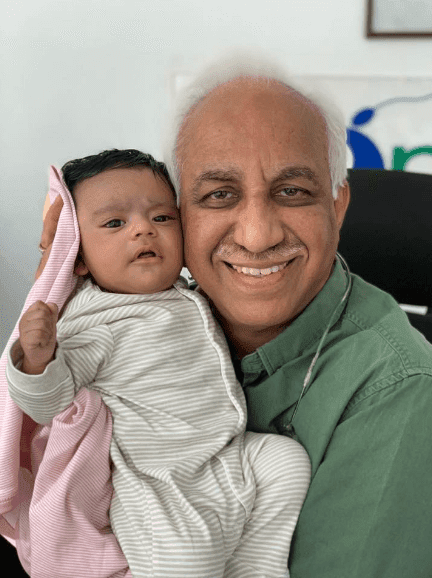 He is one of the most successful, well known and the best fertility doctor in Dubai. He is director of Conceive which is also a well known fertility clinic Dubai.